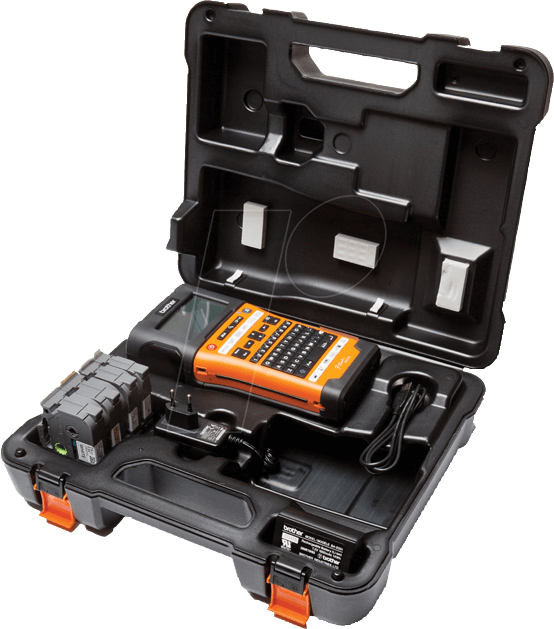 The electrical labelling kit with everything you need for a professional, compliant finish including carry case, charger, battery and 4 tapes (TZE-FX231, TZE-241, TZE-251, TZE-651). 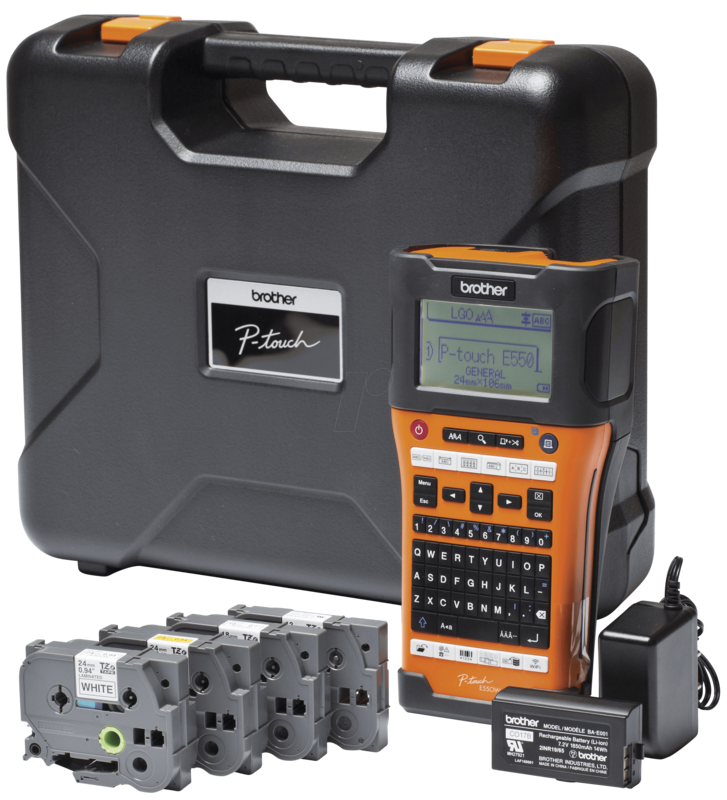 Durable, reliable and packed with innovative features, the Brother PT-E550W label printer lets you print customised labels from your phone using our free Cable Label app, making it easy to stay compliant with the updated wiring regulations. 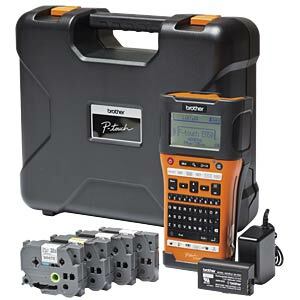 Ideal for electricians and electrical contractors, the PT-E550 is our dedicated electrical labelling machine. Simply and quickly create durable labels for electrical and datacomm installations using the easy-to-use, built-in labelling functions. Complete with PC software and compatible with our cable labelling app, you can create bespoke and compliant labels in next to no time. 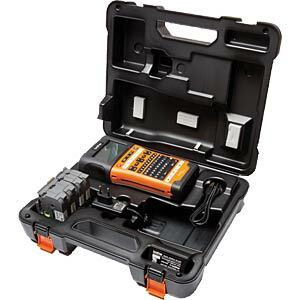 Included as part of our promotional electrician’s kit, the PT-E550 also comes with a carry case, pouch, charger and battery, with four free tapes. So whether it’s cables, conduits, switches or sockets, making sure you leave behind clear, identifiable labels that address ANSI/EIA/TIA-606A/B and meet the UL-969 standards couldn’t be easier.